AUSTRALIANS have lost $45 million to scams in the past six months, prompting a warning to consumers not to send money or personal details to strangers. The Australian Competition and Consumer Commission also reported it received 45,000 complaints about scams in the first six months of this year. 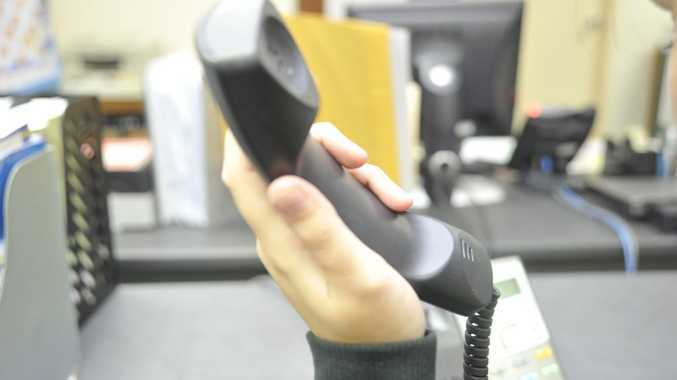 Those scams ranged from online communications to those completed over the phone and by post. ACCC deputy chairwoman Delia Rickard said scammers were becoming more sophisticated in their methods. Often they succeeded because they "look like the real thing", she said. Data from the commission showed dating and romance scams led to $10 million lost in the six months with "investment schemes" a close second on about $9.1 million. Other common scams executed on Australians included inheritance scams, fleecing $3.5 million from victims, "Nigerian scams" at $2.3 million and betting schemes at $1.3 million. Ms Rickard warned people to be vigilant in securing their information and in not giving it out. When dealing with uninvited contacts from people or businesses, whether it's over the phone, by mail, email, in person or on a social networking site, always consider the possibility that the approach may be a scam. If you've only ever met someone online or are unsure of the legitimacy of a business, take some time to do a bit more research. Do a Google image search on photos or search the internet for others who may have had dealings with them. If unsure, verify the identity of the contact through an independent source such as a phone book or online search. Don't use the contact details provided in the message sent to you. Put a lock on your mailbox and shred your bills and other important documents before throwing them out. Be very careful about how much personal information you share on social media sites. Scammers can use your information and pictures to create a fake identity or to target you with a scam. Always use password protection, don't share access with others (including remotely), update security software and back up content. Protect your WiFi network with a password and avoid using public computers or WiFi hotspots to access online banking or provide personal information. Choose passwords that would be difficult for others to guess and update them regularly. A strong password should include a mix of upper and lower case letters, numbers and symbols. Beware of any requests for your details or money. Never send money or give credit card details, online account details or copies of personal documents to anyone you don't know or trust. Don't agree to transfer money or goods for someone else: money laundering is a criminal offence. Beware of offers that seem too good to be true, and always use an online shopping service that you know and trust. The ACCC provides information on the, and collects and publishes data on these scam types. Find out what you can do to protect yourself, your business or your loved ones from scams.